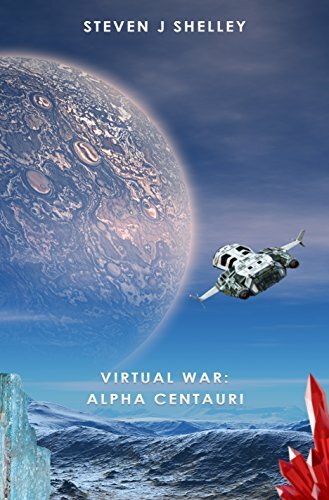 You are here: LitRPG Level One / Blog / Six Worst D&D Modules of All Time? Dungeons and Dragons is a game of the imagination. 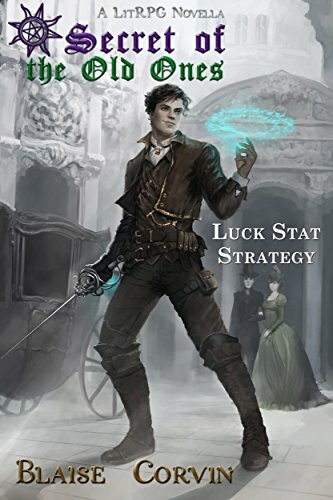 While some of the best campaigns that have ever been invented have been based on the ideas of individual GMs, a great deal of the experience related to playing the game is connected to playing published adventures. These modules serve many fantastic purposes. 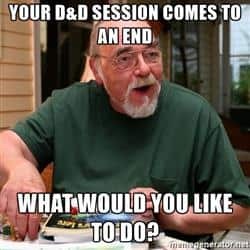 They teach players how to play, DMs how to run a game, and even help to provide a connective tissue between players across the world. If you’ve ever set down to a perfectly run game, you probably have a few really good modules to thank for that. So, what makes a great module? First and foremost, it’s a fun experience. Everything is tightly designed to make sure that everyone at the table is having a good time. 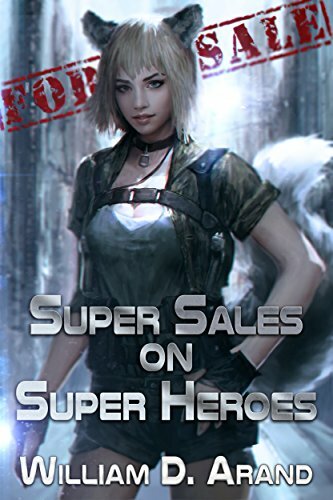 It includes some very memorable characters, some great encounters, and gives everyone a chance to shine. The best modules out there have reached a hallowed status where they’ve become part of D&D’s backstory. You may never play them during your time as a player, but you definitely know someone who has. It’s not necessary to play these modules, but they’ve helped to create a solid foundation on which great experiences can be built. If there are great modules, though, there must also be awful modules. Awful modules are not like good modules. There’s no connective thread that holds them together. Every bad module is awful in its own uniquely twisted way. The one thing that’s for sure, though, is that players definitely remember them. If you’ve played one of the worst modules published, you probably have nightmares about those games. They took D&D and turned it into a chore, removing playing agency and taking away all of the fun of being a DM. Some of these awful modules really stand out. Below are six of the worst D&D modules to ever be published – in our not-so-humble opinion. Written by Gary Gygax himself, this pick is probably just a little on the unfair side. 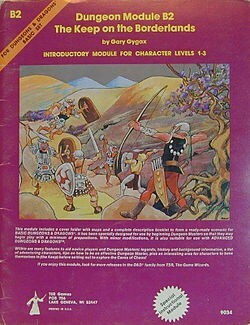 Published in 1979, this module predates almost all of the published material that composes D&D. In fact, it’s so old that you really can’t even play it any longer – it’s based on rules that are just over the line of being complex, residing somewhere comfortably in the world of the arcane. It’s a good example of where the game came from, perhaps, and should be honored for helping players take those first steps into a bigger Dungeons and Dragons world. It’s also objectively a very bad modules. If you take a modern player and sit him or her down to play the module, the player is going to think that it’s a joke. The module is so generic that it hurts. There’s flavor text in the rule books that would be more fun to run than this module. There’s none of the verve or flair that one would expect from a good module here. Instead, you get something that looks like a rough template. You can almost imagine that someone accidentally published a guide for building a dungeon on accident. Simply put, this module isn’t fun. It breaks the cardinal rule of good module design by being unmemorable. It comes in at the last slot on this list simply because it doesn’t do anything well enough to justify moving up further. This is a nice piece of history to be sure, but it’s absolutely not the kind of thing that you ever want to sit down and play. Carl Smith’s adventure for levels 2-4 certainly doesn’t have the same problem as the last module. If you ever sit down to play this one – and you shouldn’t – you’ll definitely remember playing. It just won’t be a positive memory. In fact, it’s probably the kind of module that would put you off of D&D forever. Have a friend that you don’t want joining your group? Have him or her play this one and you’ll never worry about making room for a new character ever again. The Forest Oracle is, in a word, stupid. It’s very poorly written and the plot is just dumb. It’s not ‘so bad it’s good’, either. It’s just so bad that it is really, really bad. Getting through the module is an exercise in patience, especially if you are the kind of DM who makes players slog through every word of the text. It’s absolutely the kind of thing that all module writers should look at, if only to figure out what they shouldn’t do. This is a fantastic tool for new DMs, though. Read through it once and you’ll learn everything you shouldn’t do in module design. In fact, it’s also a great tool for new writers. Remember, this module somehow got published. Someone got paid to write this. If they can do it, there’s a good chance that you can do it too. Just don’t try to play it – there’s no reason to subject yourself to an experience that makes everyone just a little bit worse for playing. On one hand, it hurts a bit to throw Tomb of Horrors onto this list. 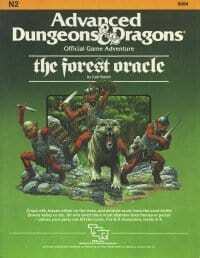 It’s one of the seminal D&D modules, one that everyone has heard of around the gaming table. It’s written by Gary Gygax and the name, at least, has been recycle more than once. It’s the kind of thing that helps to define a genre, and thus probably deserves a little more respect than it is going to get here. 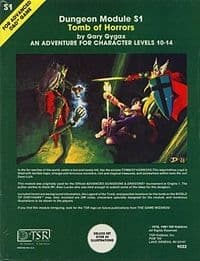 Unfortunately, you then need to remember why everyone still talks about Tomb of Horrors – and it’s not because it’s so fun. This module is a meat grinder, pure and simple. It’s the kind of module that you want your players to go through with pre-generated characters simply because making originals will be a waste of time. Characters die in this module as a matter of course, and not because the players can’t rise to the challenge. Tomb of Horrors is a deeply unfair experience for everyone involved. It is certainly one of the most sadistic modules ever published. It’s always worthwhile to look at why Tomb of Horrors is such a pain, though. It was a an adventure made for a convention, which means that it was made more to show off mechanics than to actually be fun. 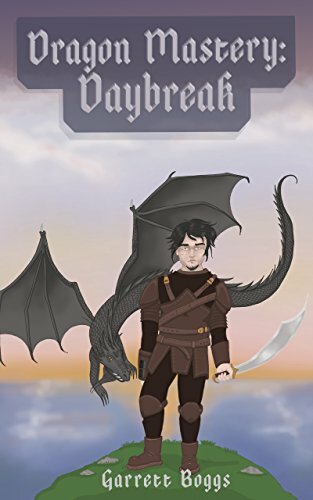 Unfortunately, someone thought it would be a good idea to publish this monstrosity instead of letting it fall into the realm of legend. That’s right – no one ever really published Castle Greyhawk, but Tomb of Horrors had to hit the presses before 1980. Play Tomb of Horrors to become part of the legacy of angry players who have learned to hate D&D a little more than is necessary. Let’s go ahead and get this out of the way – this isn’t the Castle Greyhawk of which you have heard. This isn’t the quasi-mythical setting that Gary Gygax created and with which he tested out the initial rules of D&D. It shares a name, and that’s about it. 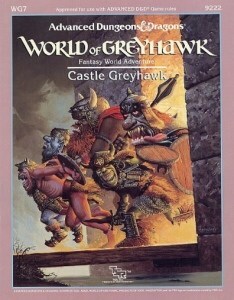 The real Castle Greyhawk was never published. All we got was this travesty. It’s the kind of thing that makes you wish that D&D had never been invented. First and foremost, this particular module is stupid. It’s made by a number of different designers, which means there’s nothing approaching coherency in the design itself. This makes it a nightmare to play through, especially if you are masochistic enough to go through all of the levels. You’ll end up dealing with far more than necessary in order to beat this module, and all you’ll gain for it is the realization that you could have spent your time just a little bit better. Someone also thought it’d be a great idea to throw in a bunch of pop culture references into the mix for this module. Pop culture is something that needs to be used sparingly in D&D, usually just for a quick one-off gag. 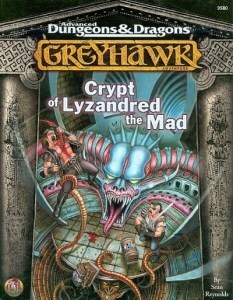 Castle Greyhawk, however, can seem like it’s made mostly of these stupid references. When they’re not around, though, you are greeted with a number of awful puns. When you’re really unlucky, you get to play with both at the same time. Avoid any product called Castle Greyhawk. Nothing’s worth accidentally buying this particular adventure. Sean K. Reynolds definitely had some ideas in mind when he created this adventure. You can almost feel that there was something good under the surface here, something worth playing. That’s one of the reasons why this module is so terrible. Potential is an awful thing to waste. Don’t worry, though. This module is still awful. It’s just awful in a way that makes you feel bad for getting your hopes up. If we want to start with anything here, it’s with the titular Lich. He’s just a bit much. The character is definitely designed to be memorable, and he is. He’s just not memorable for any of the right reasons. You’ll hate him so much that you will never use another lich in a campaign. You will hate him such much that you will spend the next three years outlawing anything related to the undead in your campaign. You will hate him so much that you will play only clerics who can turn undead for at least a few months. That’s just on the player side, of course. DMs have their own problems with this module. They are given way too much work in this adventure. Modules should make the job easier on DMs, but this one offloads a ton of work onto the person who should be taking a break between designing his or her own adventures. Puzzle design should really be the biggest feature of any module, but in this case the DM has to do far too much of the heavy lifting. It’s just a failure across the board. It came with a pretty cool DM screen. That’s literally the only nice thing you can say about this module. Trouble at Tragidore is, as the name would suggest, actually terrible. It is terrible in a way that nothing else on this list is terrible. There is nothing fun about it. There’s is nothing about it that changed the way players played. There’s not even the kind of humor that makes you shake your head and move over to a better module. No, there’s just pain here, pain in every aspect of the game. Do not play Terrible Trouble at Tragidore. This module actively punishes players. The DM is directed to take away players’ items and gear, leaving them destitute. This would be one thing if these were starting characters, but you need to be solidly in the middle of the pack to play this module. That means players are going to start off very angry – not exactly a great way to begin. At the same time, your players are going to be subjected to an awful plot. Seriously, it doesn’t make any sense. If your entire plot can be taken apart with a single spell, it probably shouldn’t exist. It is absolutely something so bad that you’d assume a six year old put it together. Then, of course, there is the drow in the woods. There are drow. In the woods. In an area totally unconnected to the Underdark. Why? It’s part of the plot. It’s a stupid part of the plot. It’s an awful part of the plot. It’s also one of the parts that everyone remembers. A drow. In the woods. Please don’t play this module. Worst is a ludicrously subjective thing. While all of the modules listed above really are quite bad, almost all of them have their defenders. There’s something in most of them to recommend, to praise, or simply to commiserate about. With enough time, nostalgia kicks in and a few people will even claim to love them. There are also many other modules out there that players will point to as much worse than these six. They might have worse writing or worse encounters. Players might have played through them with bad groups or with bad DMs. There are so many things that can add or detract from a gaming experience that no one really knows what will count as a good game and what will go down in history as an embarrassment of epic proportions. Bad modules have their place in the world of D&D. They can teach you what not to do and help you bond with other players like never before. While the modules listed above are all very bad, they’re also mostly very memorable. 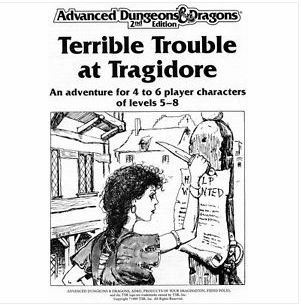 Many older players have their Tomb of Horrors or Tragidore stories. Having these bad modules around is a huge part of building up the communities, if only in helping to make all players equally miserable. You may not want to play these modules, but you should definitely read over them if you get a chance. Why? Because you deserve to know a bit more about the adventures that other players have learned to dread. Come to the LitRPG Forum and let us know how you feel.